Eivey.ca founders and entrepreneurs Maryna De Lannoy (left) and Laura Sim. 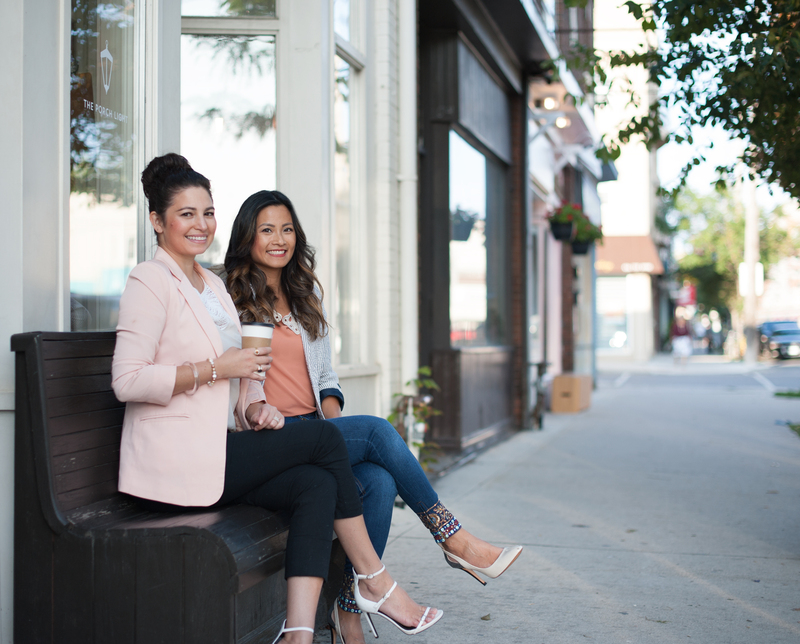 Starting a business can be daunting, yet local beaches entrepreneurs and friends Maryna de Lannoy and Laura Sim decided to take the plunge during a walk through the Beach neighbourhood. Seeing a gap in the market they felt they could fill, Maryna and Laura worked out their concept step by step for two years before they officially launched their business. After years of concept mapping, planning and behind-the-scenes logistics, Eivey, an online marketplace for luxury fashion, was officially born and launched to the public. “We wanted to set a strong foundation to build from and turn our passion project from an idea into reality,” comments de Lannoy, co-founder of Eivey. Following a whirlwind year, Maryna and Laura are celebrating the first anniversary of Eivey going live. Here, they share some lessons they learned in year one with other emerging entrepreneurs. In the early days of business, you have to rely on yourself. You need to be dedicated to learning each and every aspect of your business and knowing it inside and out. Hiring professionals is expensive so utilizing the skills you already have is really important and allows you to make progress while keeping expenses low. Your support network are the people around you that ‘get’ your business and can support and propel your business forward. Support from their network can come in the form of their time, influence, network or advice. Take advantage of the opportunities they offer you: take those 7 a.m. meetings, attend those networking events, and engage with the conversations. You never know who you’ll meet. You’ll spend more time than you anticipate getting your business off the ground. It takes a monumental amount of time and effort, can be frustrating and can feel like you’re not making progress. Patience is the key before you start seeing results. Very few businesses are an overnight success and it takes time to build momentum. Some months will be busy, others will be quiet, and you’ll work late nights and weekends. It’s all par for the course and makes up the bigger picture. Don’t let this phase you. Be smart and realistic about when you expect to make profit. If the star-up is a side project, keep it that way until you can commit full time. If it’s a ful-time gig, plan on having savings or a side job that pays the bills for the first few years. It takes time to start making a profit and earn a salary. In summary, don’t bet on a “get rich fast” plan, be ready for the long game. You need to be able to pitch in, do all parts of your job even when it’s outside of your comfort zone. You might not be comfortable in all these roles, but you need to give them 100% of your effort. Embrace expanding your horizon when your business opens. It’s one long adventure! For more information on Maryna de Lannoy and Laura Sim or the Eivey online luxury marketplace, please visit www.eivey.ca.